Past history shows city council incumbents have a high chance of success when it comes to seeking re-election in Calgary. 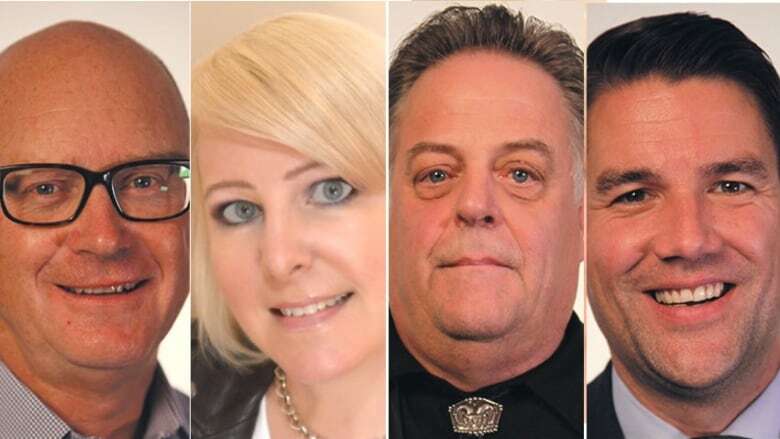 In recent decades, more than 90 per cent of city council members have been re-elected when they ran again. But voters don't seem to treat incumbents equally in all wards. A political scientist at the University of Calgary, Jack Lucas, says Ward 8 is a good example. "Incumbents in Ward 8 have lost, what is it, two out of the four last elections," he said. "And it seems like people have just decided that Ward 8 is a place where incumbents sometimes lose, and so you tend to get serious challengers always running in that ward." Evan Woolley defeated the previous councillor, John Mar, in the 2013 election. "The thing that I learned in the last election and that we've worked really hard over the last four years is not to take anything for granted," he told CBC News. Woolley said he is approaching this race similarly to his campaign in 2013, when he beat John Mar for the Ward 8 seat. "I think there's two really key things that our campaign is focused on, and it's on my record," he said. "So we ran on a series of ideas and objectives on the last campaign, and we won, and we have worked really, really hard to deliver on that platform, and we are standing on our record of the things we have accomplished. "We have a whole series of objectives and ideas we're putting forth in this campaign ... and we are working really hard, and that's that second thing, I grew up in a family where hard work was instilled in us at a young age." Three challengers have lined up against Woolley in this election. One of them, Chris Davis, says a change in ward boundaries means in this election he's as new to voters as Woolley. "We've got lots of new folks coming into Ward 8 in the south part of the constituency, and I have found on the doorstep that they're very open to having a conversation about leadership at city hall," he said. Davis says he's hearing about frustration with the local economy while door knocking. "Trying to value every penny and so that translates to everything we're all looking at in our budgets," he said. "And one fo those things we look at is what we spend every month on our taxes. And nobody has told me they're against taxes, we know it costs money to run a city and deliver the services we need... but what people are concerned about is getting value for their tax dollar." Two other challengers, Karla Charest and Carter Thomson, are also vying to defeat Woolley.